There’s something about African music I find quite satisfying, whether it’s drumming from Burundi, Senegalese Mbalax or South African Mbube … I love it. A couple of years ago, whilst merely browsing the listings at rateyourmusic.com, I couldn’t help noticing the name Fela Kuti showing up amongst the rock legends of the seventies. I’d never even heard of him and, intrigued as to why so many people rated his music so highly, I investigated. If you’re completely unaware as to who Fela was, he was a Nigerian musician and political activist, the inventor of a style of music called “Afrobeat”. This style fused central African High-Life music with American Funk (particularly Sly Stone) and the improvisational qualities of Miles Davis. An Afrobeat composition typically starts with an extended instrumental, built up from ostinato grooves with layers of horns and improvised solos that develop the musical themes. 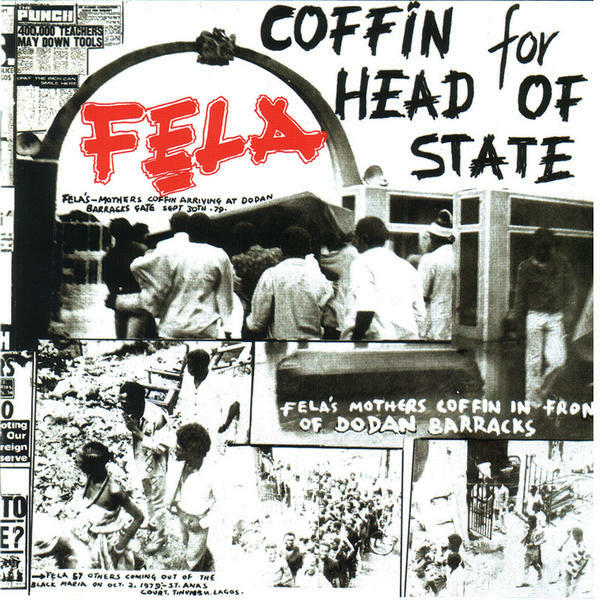 Around halfway through, Fela begins the vocals, all sung in Nigerian Pidgin English, accompanied by his army of backing singers working in a call-and-response fashion. His lyrical themes often dealt with issues affecting the everyday lives of Nigerians, from the poorly planned layout of Lagos (“Confusion”) to government-approved religious hope (“Shuffering and Shmiling”). He released several dozen albums, most featuring just one or two tracks and playing for an average of 25 minutes each. 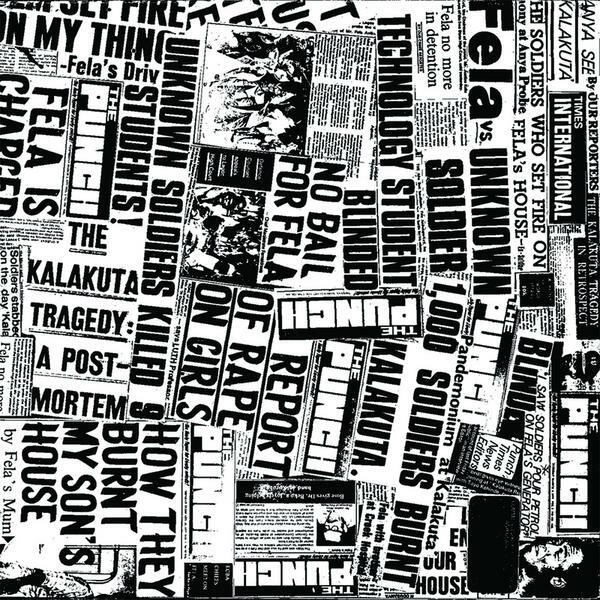 It would be impossible for me to give a total overview of Kuti’s music — it’s very prolific and there’s still so much I haven’t heard — but I’m going to talk about a handful of albums in particular: those that deal with the events surrounding the destruction of his commune, the Kalakuta Republic, in February 1978. While the story is presented in brief on his Wikipedia entry, I’m going to looking at the story through Fela’s music and words. As you can imagine, in the military-ruled Nigeria of the time, this particular record didn’t sit well with the powers that be. 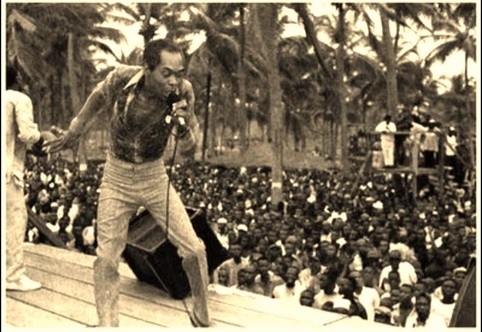 Fela was not only a political dissident but a very popular one — and the people were lapping this record up. Fela needed to be taught a lesson. He needed to be shown just who was in charge. “Where these one thousand soldiers them dey go? 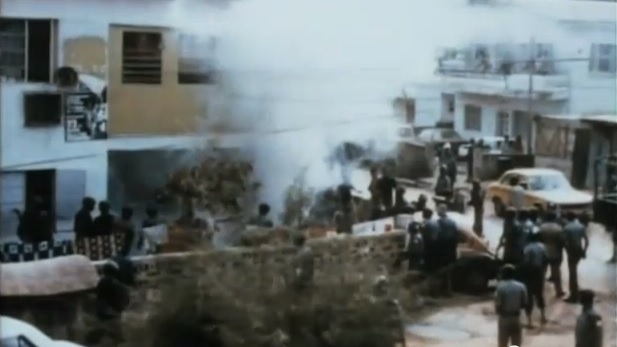 When a thousand-strong army descends on your front door, chances are they’re not popping round for a cup of coffee, and on February 18th, 1978, that’s just what Fela received. 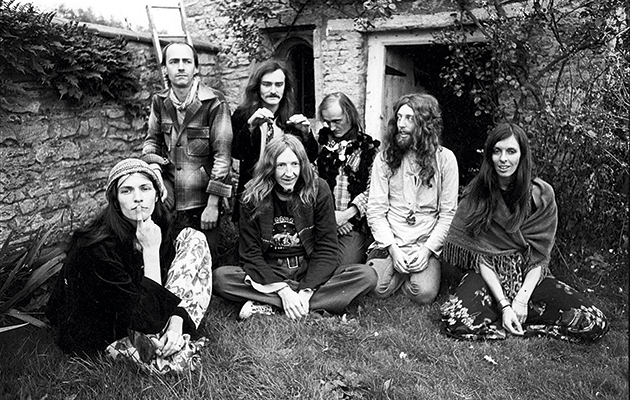 The Nigerian military viciously attacked the commune, destroying his studio, instruments and even his master tapes — presumably why some recent reissues of his early music sound like professionally made vinyl conversions. Fela himself was badly beaten and would’ve been killed were it not for the intervention of a senior officer. While Fela himself escaped with his life, his elderly mother, Funmilayo Ransome-Kuti, was not so fortunate. She herself was something of a “troublemaker”, an active and outspoken campaigner for women’s rights. She was thrown from a window on the third floor of Fela’s commune, lapsing into a coma and succumbing to her injuries two months later. She was seventy-seven. With him big fat stomach. 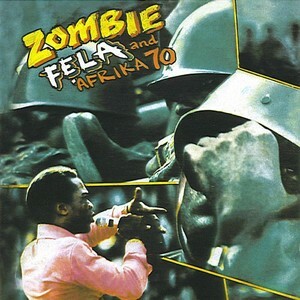 An official enquiry later ruled that Fela’s commune was destroyed by an “unknown soldier”, referenced in the song of the same name. In a clever analogy, he referred to this practice as “government magic” in the way the whole incident miraculously disappeared into insignificance. And thus concludes the story. No riding off into the sunset, no happily ever after, just a continuing struggle which now passes to the next generation. No formal apology has ever been made, and the government still does not accept responsibility for the murder of Fela’s mother. Calls to immortalize her on the proposed 5,000 Naira ($30/£18) note were halted when the proposal was withdrawn. Although Fela never lived to see the boom of the Internet age (he died aged fifty-eight of Kaposi’s sarcoma tumour in August 1997), his music — as well as its message — is very much alive and moving freely. The three albums I’ve mentioned, Zombie, Coffin for Head of State and Unknown Soldier, I rate among his finest work. They’re not just Fela up on his soapbox preaching to the masses, they’re Fela speaking from personal experience and with great conviction. Sure, they’re catchy, funky and downright infectious (not to mention inspirational — just ask David Byrne), they make you sit up and listen.